Wow, where has March gone? 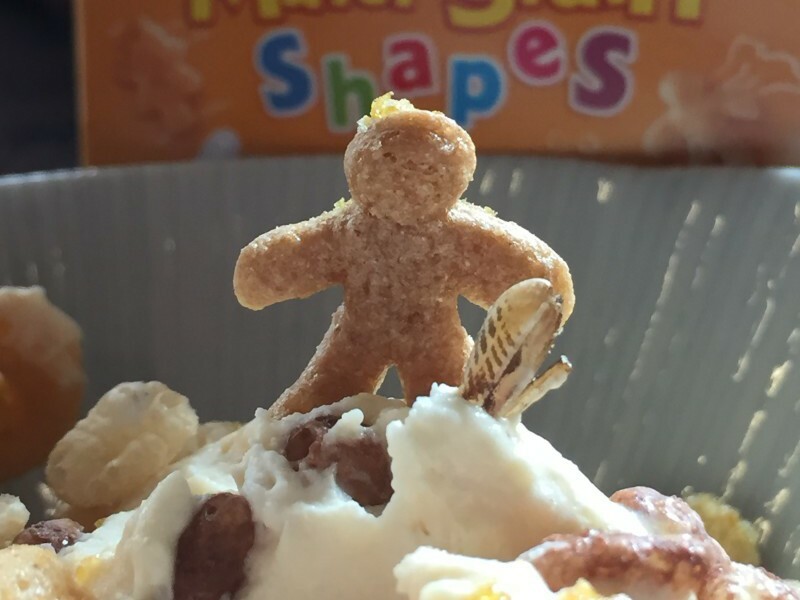 This is going to be a fairly short round-up because there’s not been as much blogging as usual this month. Between holiday and lots of other stuff going on, the blog has suffered slightly. But don’t worry, there may be less posts but there’s some good ones in there and – as usual – plenty more to come. 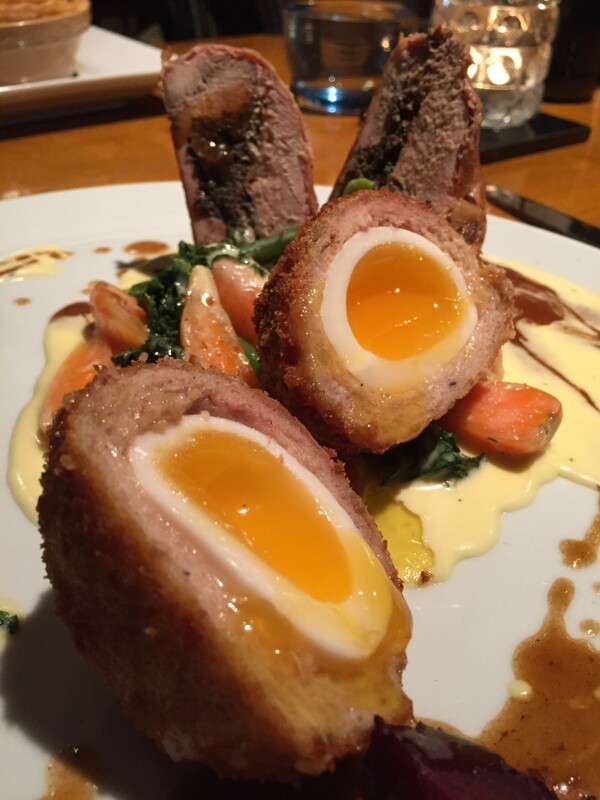 First up in March was an unexpected meal at a little Warwickshire country pub, The King’s Head in Napton, where a friend and I feasted on some rather good food, including this Shuckburgh pheasant and ‘scotch egg’. Next up was an event I was particularly excited to be attending – a special wine lunch at The Cross in Kenilworth. 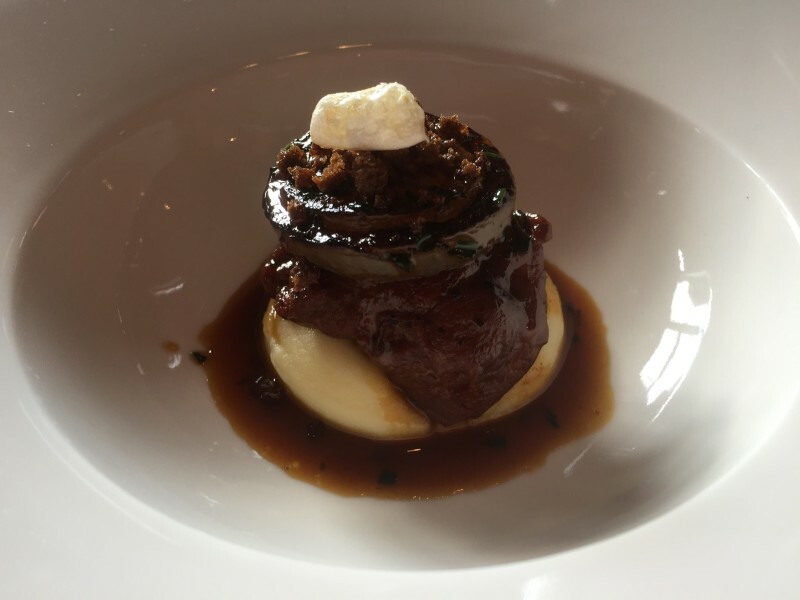 I and a bunch of fellow food writers were treated to a preview of a Jaboulet wine dinner The Cross is hosting in April, with a specially-designed menu paired with some pretty fine Paul Jaboulet Aine wines courtesy of Bibendum. After that, it was off to Cortina d’Ampezzo for our hollibobs (full post coming up on that, don’t you worry). 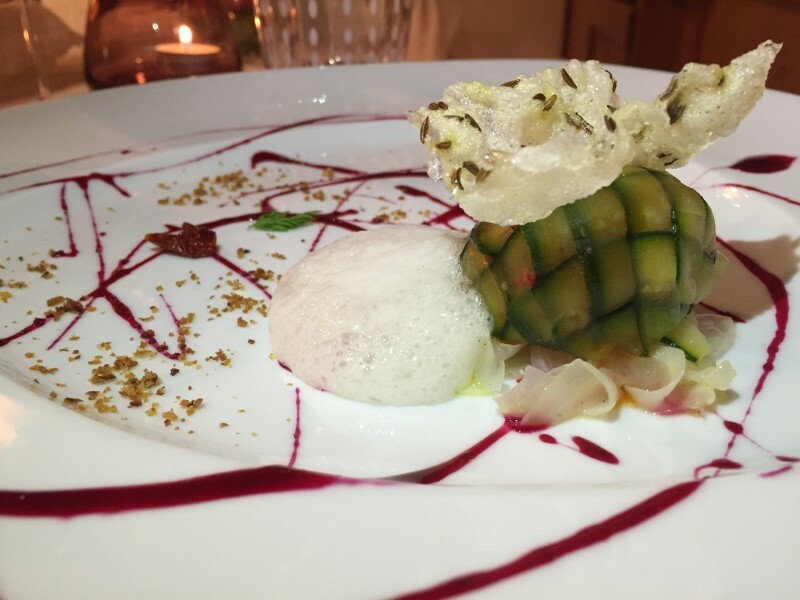 While there, we treated ourselves to a visit to Cortina’s only Michelin-starred restaurant, Tivoli, where we munched our way through an epic tasting menu, including this lobster tartare. We probably should have stopped treating ourselves by this point, right? Well, we decided to close bring our holiday to a close by toddling into Brum for Birmingham Breakfast Club’s latest collaboration – brunch with Nomad. Here we joined fellow bloggers Brummie Gourmand, Full to the Brum, and Travelling Coral, to dine on classics-with-a-twist like kedgeree with a sea buckthorn sauce, as well as the trademark addition of ‘bugs’ that Nomad is becoming well-known for. Here’s the caramelised milk mousse with cereal, including roasted crickets! As usual, while it might all seem like meals out, we did do a bit of eating in too. 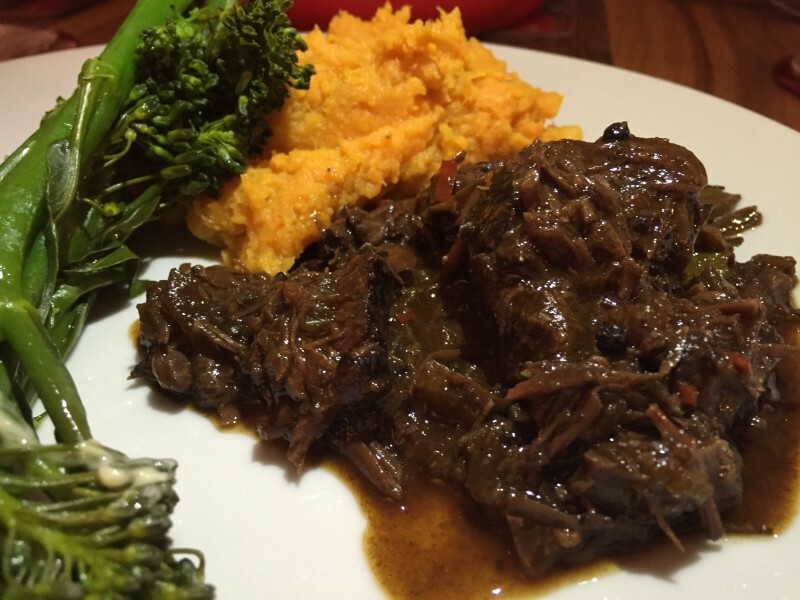 Mr M cooked this amazing slow-cooked ox cheek, so good that I had to blog about it. 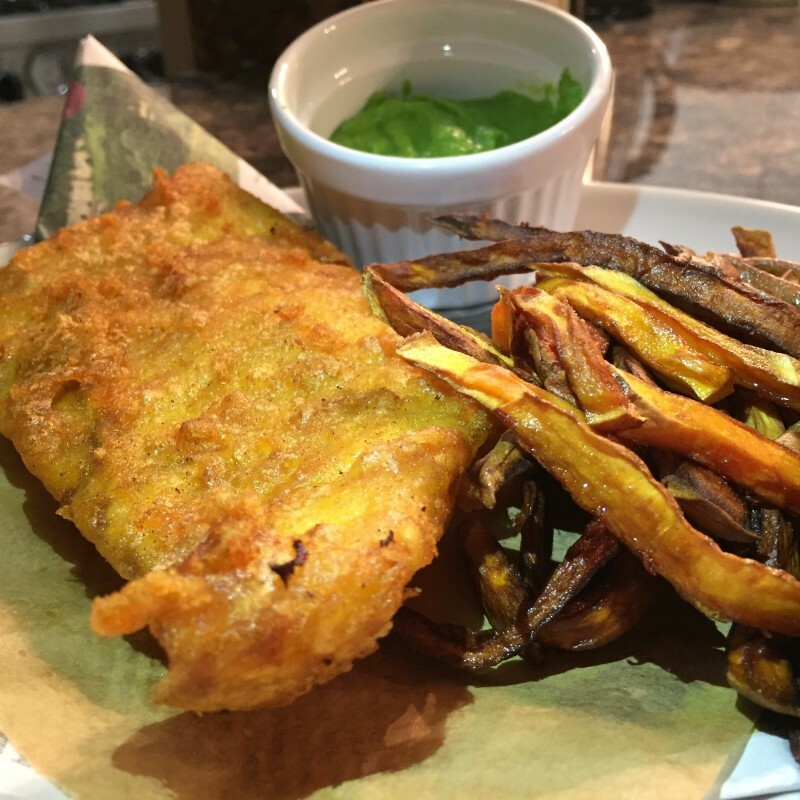 We also whipped up our own fish and chips using Tennent’s Whisky Beer as part of a challenge I and other Citylicious bloggers took part in. I may have been a tiny bit lax with my blog, but I’ve still been doing plenty of food-related stuff. Eat with Ellen featured on this piece on Yahoo about droolworthy lunches as well as this one about dinners you can make in less than five minutes, both written by the talented Ellie Ross. I was back on BBC Coventry & Warwickshire doing the newspaper review with Annie Othen. An early start on a Saturday, but always a fun thing to do. 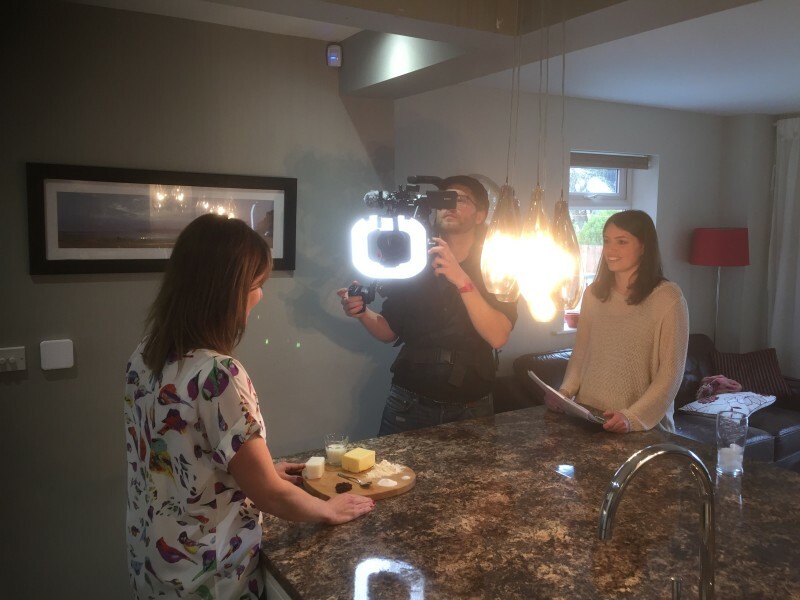 And in a moment of slight strangeness, I was filmed by some guys from German magazine show Galileo as part of a feature they do on ‘funny food’ – funny names, or funny recipes – from around the world. 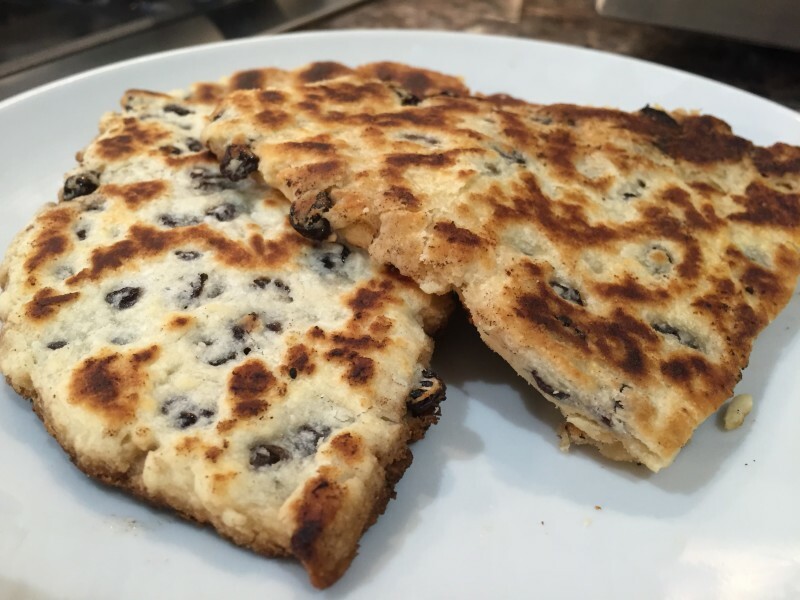 They wanted someone to take them through ‘Singing Hinnies’, an old-school northern treat, kind of like a griddled Welshcake. I’m fairly sure the rest of the world must have been unavailable that day, since I’m far from an expert, but I did a bit of studying and practice and gave it a go. Lots of fun, I have to say. And the hinnies weren’t all that bad! I’m going to try to be a bit more consistent during April and get the blog back on track. We’re up for a good start, with a review coming up of some tapas Mr M and I had at Amantia in Birmingham. Plus, you can also expect a review of Beefeater Bar + Block, a new steakhouse in Birmingham. I’m also hoping to head to A Lost Society, a new pop-up from Josh Porter, previously part of the En Place duo and his girlfriend fellow blogger Jade Hollingworth. Away from the Midlands, we’re off down to London to see our friends, who easily love food and drink as much as we do, and at the end of the month I’m off to Bilbao with my mum for our annual weekend away. Last year we found ourselves some awesome Polish food in Krakow, including a swanky meal at Cyrano de Bergerac. And with Bilbao’s foodie reputation, I have no doubt there will be lots to write from this trip too. In between all this fun, I’m planning on a bit of a return to some healthiness, so if you follow me on Instagram or Twitter you can expect some clean living and lots of gym-going. What are your plans for April? Anywhere I should be trying? Tell me, you know I’m always on the lookout! Some of these meals I paid for in full, some were complimentary. Please check out the individual posts for full disclosure on the background behind each meal. Because – honest.